I came into this post with 101 pictures...just for the San Diego area. Woof. Allow me to start from the very, very beginning. I've always had driving the PCH in California on my bucket list. When we first planned and did the northern part of the state, I fell so much in love with the coast and the trip as a whole, that I knew I wanted to travel all the southern parts the following year. You can definitely combine these trips into one, as many people do, but we just decided to do two seperate trips. If you do combine them, I highly recommend going for at least two weeks to truly experience it all and not rush yourself. So, why do I love California so much? In my humble opinion, it has everything you could ever want for a trip...the beach, mountains, desert. It offers so much, especially when you live in a place that you don't have a beach or mountains. I love that one day I can be laying on the beach relaxing, but the next hiking or eating in a town that doesn't feel like you are in a "beach town", when you are looking for more adventure. How did I plan our itinerary? How did I know where we wanted to go? If there is one thing I'm good at (come on-give me one), it's planning trips. I research, read reviews, visit the most popular restaurants (this is a must), and I have probably lost many valuable hours of sleep over them. First, I looked at all the cities we wanted to visit in So Cal and then picked how many days we could go. We knew we wanted to spend the most of our time in San Diego, so we flew into San Diego, and got our return flights out of LAX because all the other stops are in between both of those locations. When it was time to leave San Diego, we traveled the PCH in our trusty rental car (only way to do it! do NOT take the freeway) from San Diego to Laguna/Newport Beach which is a little over an hour drive, then from Laguna/Newport Beach all the way to Los Angeles (about 2-2 1/2 hours depending on how much you stop), and on that leg we stopped at Huntington Beach, Venice, and Santa Monica as well before arriving in LA. We actually chose to drive all the way to Malibu before going to LA, which I highly recommend, but I will get into that in a later post. Every morning while in San Diego (we spent 3 days here and felt it was enough time to see everything), I got up bright and early from our place in La Jolla (more on this in a minute) to run alongside some of the locals. Billy even ran with me one morning, which I loved. I had the ocean to my right and gorgeous beach homes on both sides. I found this awesome spot in La Jolla, called the Juice Kaboose, that serves the most amazing juice drinks and acai bowls. You know a place is good when each morning you go, the SAME people are there every morning. I know running on vacation isn't exactly appealing all the time, but in this instance it was one of my favorite times of the day because I got a feel for how it would be living there and got to know the area really well. After going back and forth about what area to stay in (La Jolla, Coronado Island, or Downtown), we are so happy that we picked La Jolla. We stayed in one of the few oceanfront hotels right in La Jolla Cove (hotel here) and the location could not be beat. I booked us one of the king suites, and while it isn't the Ritz, it was a good place to stay. It came with a fully equipped kitchen and like I said, you are in the best spot in town. That is really all we wanted when looking for a place...somewhere with a good location, decently priced, but still clean and it was just that. La Jolla is one of San Diego's most expensive areas and the town is filled with high end shops and restaurants. Not to mention, the views from the cliffs are pretty spectacular...no? FYI-It only took us 15 minutes to get downtown San Diego from our hotel, so it was the best of both worlds (imo). We did say that next time we would like to spend maybe one or two nights on Coronado Island, so if you are planning a trip I would recommend staying in La Jolla for a few nights and also maybe one or two on Coronado. Either way, you can't go wrong. As for the places we visited, the restaurants we ate at, and the beaches we explored, here's a quick rundown of our favorites. I could be here all day going into detail about each, but I figured I'd highlight them and if you have any questions further, email me. We ate here 2 nights because we loved the area so much. The food...omgoodness, THE FOOD! We ate at Trattoria Fantasica and Buon Appetito and absolutely loved them both. The Butternut Squash Ravioli from Trattoria Fantastica and the Linguine allo Scoglio from Buon Appetito were both top notch and I will have dreams about them in the future I'm sure. There are some really awesome bars right by Little Italy too if you want to grab a drink after. We liked Craft and Commerce and this semi-newer place called Queenstown. We actually walked by this place on our first night, and regretted not going in, so we stopped in on our second night. The outside had the coolest decorations..pumpkin, fire pits, vintage signs, etc. It was love at first sight. I don't have any pictures of it, but the Gaslamp District downtown (close drive from Little Italy), is a must. It is FILLED with great restaurants, bars, and is always hopping with people. 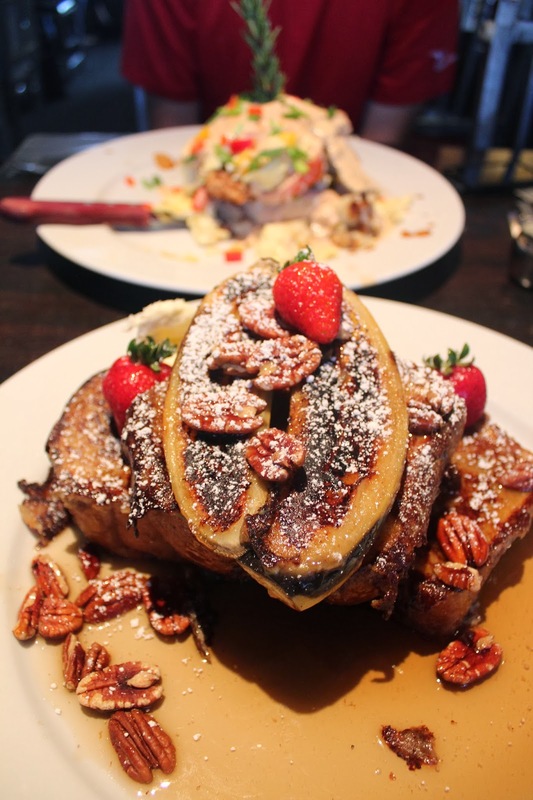 Brunch at Hash House A Go Go (our personal favorite that has been featured on Food Network) or Snooze...both winners. Fun town to explore that is located right by Balboa Park, so you can get brunch, explore the town, then hop on over to see Balboa Park. These pictures from Hash House don't do the size portions justice...the plates are massive. You could easily split, but since I love brunch/any food in general, we tried two different things. I got the Griddled French Toast and Billy got Andy's Sage Fried Chicken Benedict..both popular items on the menu and BEYOND delicious. Great place to rent a kayak or to sit by the water or take a long walk around. Eat at Hodad's for one of the largest and best burgers of your life (I wouldn't know being a vegetarian and all, but I saw them and trust that this is in fact very true). Loved exploring this area...it is so fun! Another favorite in San Diego. Spend a day walking around in the shops and street vendors (I got the cutest Christmas ornament and drink coasters!) and of course, do not leave without eating the Mexican here. I mean, do NOT. We ate lunch at Cafe Coyote. Couldn't recommend this place more. It is the largest mexican restaurant I have ever been in! The food and service were A+...nom nom nom. GO HERE. L-O-V-E. Seriously. Spending the afternoon here was my favorite day on our trip. Go park by the famous Hotel Del, walk through it, have drinks on the Sun Deck (the view is pretty much heaven), and rent bikes for the day and take them all around the island. We had the BEST time doing this. It took us about an hour and a half to ride the bikes all the way around and is the best way to see everything Coronado has to offer. If you have time, stay to watch the sunset. Then, go visit one of the local breweries and get a Coronado Orange Ave. Just thinking and writing about this day makes me miss it so much. Coronado is the best. 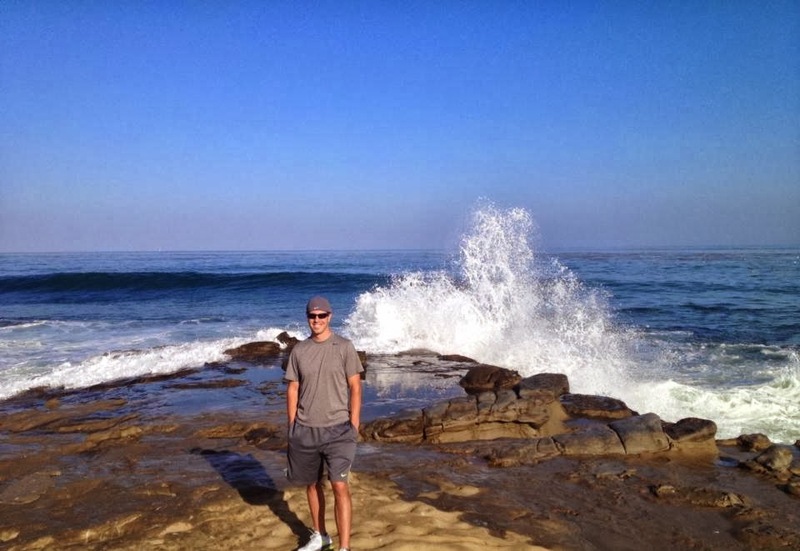 Final thoughts: San Diego/La Jolla now has a very special place in my heart. Thumbs up to you, San Diego. Thumbs up to you. PS: Thank you x 100 to those who sent me recommendations...seriously. You all rock. You make me miss San Diego so much!!! I want to go back so bad! Looks like you had an amazing trip! I love seeing all of your pictures from your trip to SD!! It seriously is the greatest city ever. I am so jealous that you got to eat at Coyote Café, one of my all time favorite restaurants in Old Town. So happy you loved San Diego. Feels like a lifetime ago when I was able to call it home! I went to San Diego this past May, old town was my favorite! They had an awesome farmers market and street vendors set up. So jealous you were just there! I haven't made it to sanfran yet... def on my list though! i loved following along with you on instagram!! this just looks so pretty- i haven't been to california in too long!! looks like y'all had such a fun time! Looks like an amazing time! I'm with you! Love SD! When I visited I wanted to move there! Looks like such a fun trip! I've always wanted to travel along the California coast. I loved La Jolla, I stayed there a few years back and it was gorgeous! I believe I stood on the same rocks in Laguna haha! This makes me want to hop on a plane to Cali right now! I've been to San Diego and San Fran and LOVED both of them! I LOOOOVE San Diego! My parents live there and every time I visit I want to just pack up a moving truck and move out there. The weather is seriously to die for. I'm a local (you fake it very well, ha ha! ), I've lived in San Diego all of my life and I love this post!! You make me want to run to the beach right now. Expect it's been raining and even though the sun is out again, it's chilly today. I'm glad you enjoyed your visit. You guys' love for Cali is so amazing, have you ever considered relocating there? The way you describe your love for the area is how my husband and I felt about FL while living in CT. And we left Connecticut for Florida 3 years ago and never looked back. 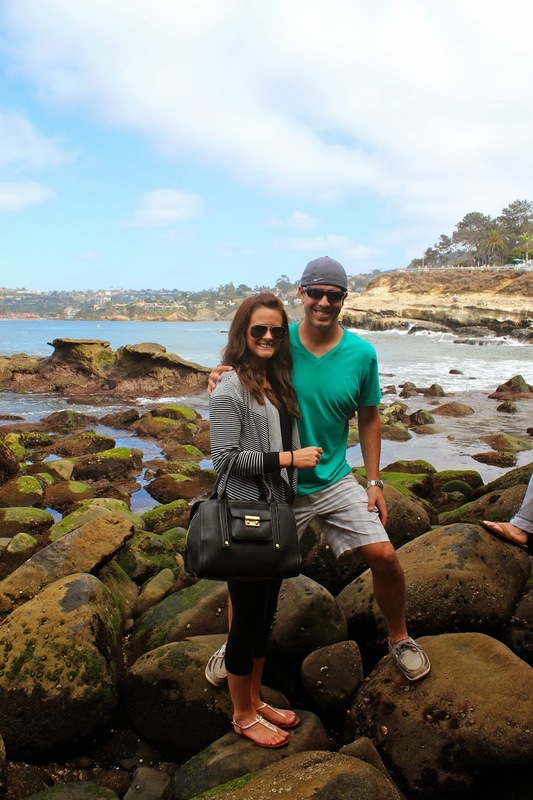 I just posted a travel bucket list on my blog today and San Diego is top on the list... So this is perfect timing for me! I also put Nashville on my list after reading about that bachelorette party! 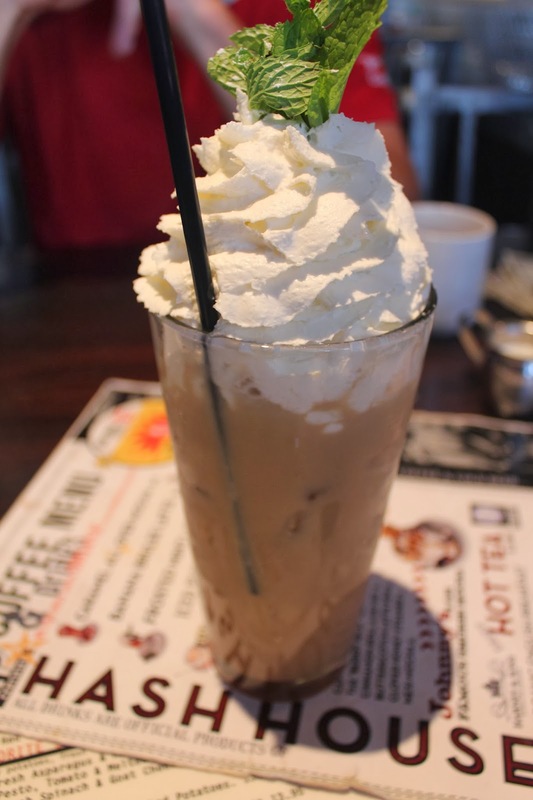 We too do major planning before a trip and love trying popular restaurants! So glad that you had such a good time in San Diego. 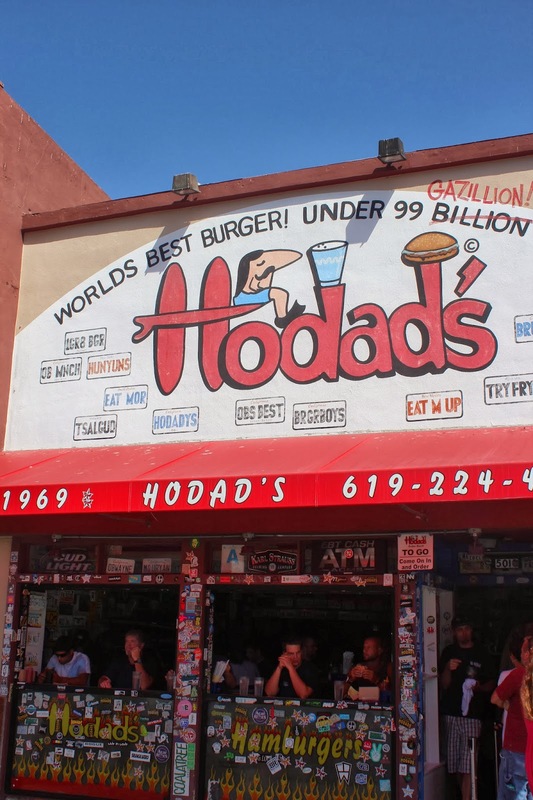 We live in SoCal and have been a couple times, but some of these restaurants look so good. Are they kid friendly; we have a one year old. We've gone to coronado quite a bit to the navy base, but have never road around the island, I'd love to rent bikes and do that. I think it would be so fun. 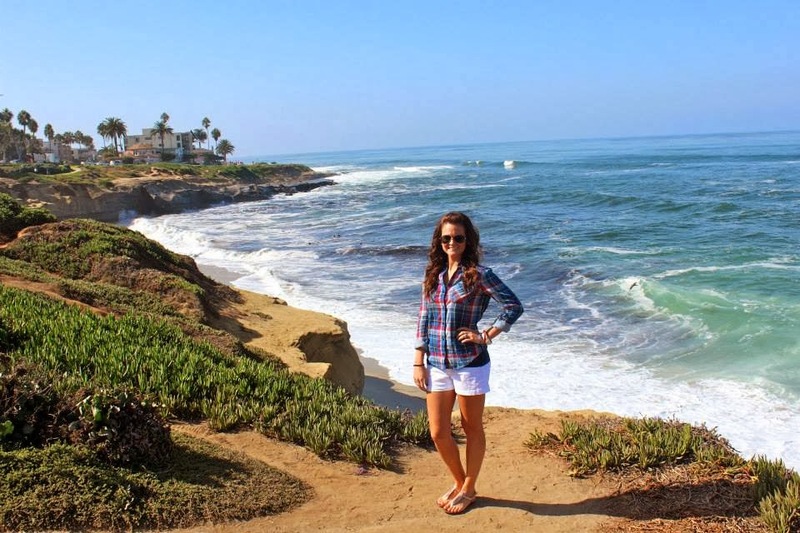 I seriously loved both La Jolla and Coronado! I wish we would have been able spend more than an hour in both. Definitely on my agenda to fix for next time. So glad you enjoyed your time in my home town!! It really is one of the best places to live! Oh my goodness! Everything seriously looks amazing!! You def know how to plan a trip sister! & I think your hotel in La Jolla is the perfect place! Unless you plan on staying in your room a lot, there's no need for a super fancy room. It is fun though from time to time!! I can't wait to see the rest! Next trip I'm jumping in your suitcase! Brian and I have been talking about looking at the oncology fellowship program in San Diego and you've definitely made me excited at the interview/visit if we go. I'll be referencing this post and all the yummy food recs. Mexican food is 100% a must! Looks like so much fun! I love SoCal; it's gorgeous any time of the year there :) PS I'm LOVING your outfit on the bike! How awesome you mentioned Cups!! When you were talking about the cliff's in La jolla, I was going to tell you that my cousins best friend from Law School ended up in La Jolla, she ended up falling in love and marrying one of the partners at her firm, they live on the cliff's, and they got married there, holy cow what an amazing wedding video, so jealous they get to wake up to that every day. Also, Michelle is not a lawyer anymore but the girl can cook, and she has an amazing organic cupcake place called "CUPS", that is to die for! Such a small world. Her and my cousin are still besties, and they take the most amazing trips out there to see her and to all kinds of other places. She did all the cupcakes at my cousins wedding here in KY two years ago, and I wanted to die when I took that first bite. So amazing! Glad you had fun, and I can't wait to hear about the rest of your trip!! LOVEEEE San Diego/ La Jolla!!! I also went to Cafe Coyote and Hotel Coronado. I also love the sea lions!!! Such a wonderful area! Looks like you guys had a great trip, so far! Your pictures are gorgeous! I have been living vicariously through all your vacation Instagram pictures, and let me tell you... it is giving me a MAJOR travel bug... which isn't practical with a newborn. So thanks for that! HAHAHAHA! Seriously though... the way you and your hubs love traveling reminds me so much of Jake and I! I'm already planning a trip somewhere for next summer with Weston... HAHA! OK, definitely going to talk my husband into going to California now! My parents have been a few times (they even honeymooned in San Fran) and my husband has family in San Diego...good excuse to go right? We live in Ohio and I can totally get the appeal of the ocean, mountains & desert all in one. Your pics were gorgeous and I will definitely be writing down all the places you mentioned. 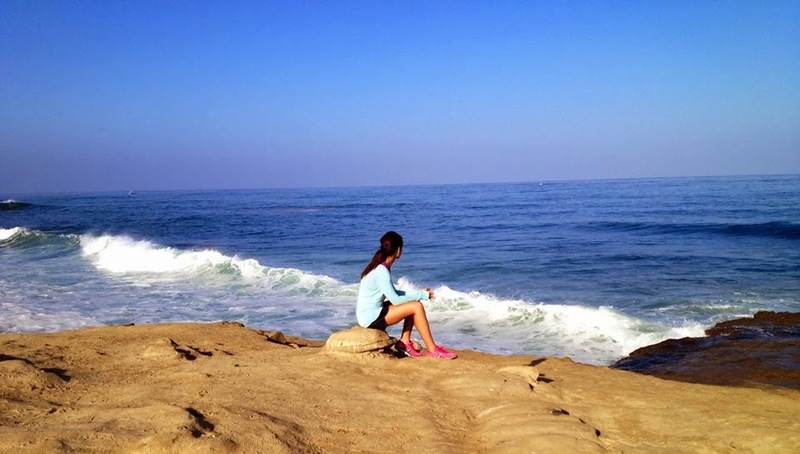 Also, running beside the ocean in La Jolla sounds heavenly. Ahhh memories! A perk of living in Yuma, AZ was that I was only 2.1.2 hrs away from San Diego which made seeing my boyfriend at the time very easy! Coronado was a fave of mine too! :) Weren't the houses on the island just so charming?! Like there own little world over there! I'm trying to convince my boyfriend to go to California next year, and I am sending him your post because honestly, how could it not win him over? It looks like you had a blast! Your outfits are all so adorable too. So so fun! I've been to SD a few times as a kid and I am always trying to convince Mister to go back there...you are right, the weather and scenery are just perfect! Love love love your vacation recaps! I've never been to San Diego (okay, I went when I was 8 but that doesn't count) and have been dying to go. The beach and palm trees speak right to my little heart! Every picture looks breathtaking!